Adana Veterinary Clinic | Care Comfort and Compassion for Your Pet! Adana Veterinary Clinic is a small clinic, emphasizing high quality medicine and very personalized care. Our staff is committed to an excellent experience for both the owner and the pet. We provide wellness care as well as care for sick animals. We examine and treat all the furry companion animals: dogs, cats, ferrets, rabbits, guinea pigs/small rodents as well as most exotic species: Birds, sugar gliders, hedgehogs, reptiles and snakes. At Adana we know that having great medical and diagnostic equipment allow us to serve our patients better. Digital X-ray, an ultrasound machine, advanced in-house lab machines, and digital dental X-ray gives the doctors the ability to do a wide range of diagnostic work. The clinic offers most surgeries: many soft tissue and abdominal procedures, including routine spay and neuter, C-sections, mass removals, eye lid corrections as well as some orthopedic surgery. We carry the latest technology in Class IV Therapeutic Lasers, a CTX-15 unit used post-op and for many acutely painful conditions, please refer to our Laser section. 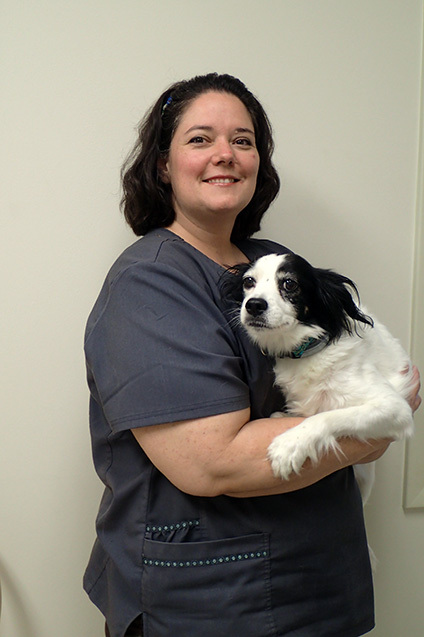 Both Dr. Wildenstein and Dr. Lucy-Lender have lifelong interests in dentistry for pets and Adana offers prophylactic and therapeutic dental care including extractions. Our philosophy is reflected in our mission statement, and in our motto: Care, Comfort, and Compassion for your pet. We take pride in great customer care and emphasize comfort for pet as well as owner. At Adana we emphasize dental health every day and strive to be the pet’s advocate to help prevent painful tooth and gum problems from developing. Dental issues often go undetected by the owner as pets typically just live with the infection and pain. Owners may expect a dog to vocalize or whine or their cat to meow or hiss. However, it is much more common for the pet to experience lower quality of life, to act older or quieter. People are often surprised that their cat or dog are still able to eat even with advanced periodontal disease. 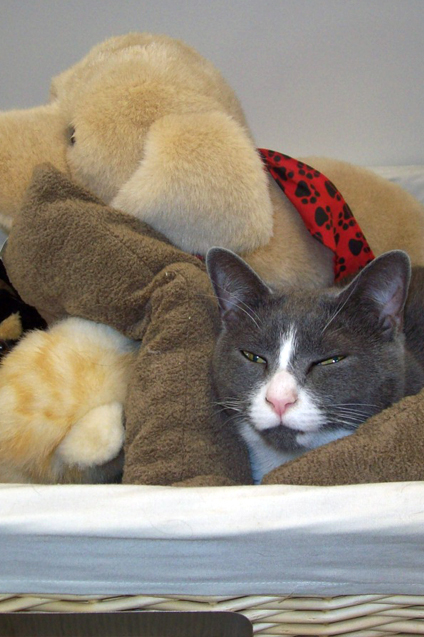 Ongoing chronic gingivitis or infection may predispose your pet to early liver and/or kidney disease. Regular oral exams are the best strategy to avoid these health issues. As anything else prevention is key and will help keep costs and discomfort lower. With early intervention and prophylactic cleaning it is possible to avoid expensive tooth extractions and periodontal surgery. 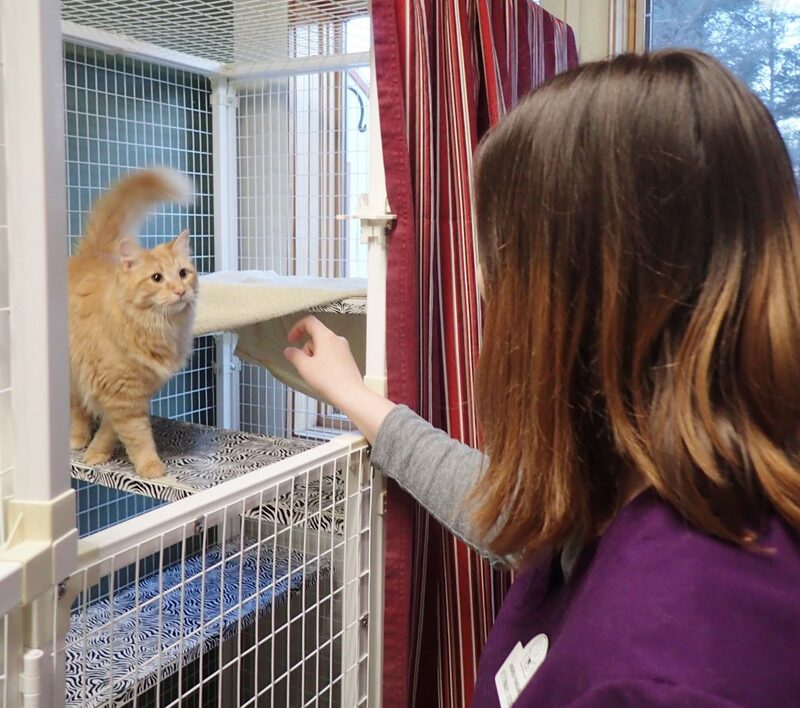 At Adana we try to assure that every pet gets an oral exam during the pet’s annual exam. We also believe in educating pet owners early on about the importance of good dental health for the overall health of the pet. Statistically over 80% of adult dogs and cats have some degree of dental disease by the age of 3. Unfortunately for many pets, this dental disease left untreated develops into advanced periodontal disease and infected teeth. Let us help you help your pet keep their teeth and gums in the best condition possible. 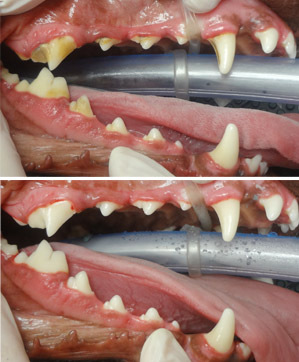 Dental cleaning for pets are always performed under general anesthesia. Above: 4 year old dog with grade 1 dental disease. Below: After dental prophylaxis - a fresh start! Regular professional cleaning will prevent periodontal disease. Update on Loki- the laser treatments worked so well! Before treatment there were days his back legs were so sore and weak he could barely get off of his bed- we saw a change for the better during his first cycle of treatments, and after 3 cycles he had definitely improved a lot! A year later he is running and jumping better than ever! We LOVE our family at Adana and wouldn’t have care given to our pets, our “family”, any other way! This is a short note of thanks and appreciation for your wonderful help with our octogenarian cats. The service you provide always insures peace of mind, a priceless outcome. Thanks to all. Thank you all for making such a positive impact in our beloved pets’ lives. We truly appreciate your compassionate and caring team! And Joey, Tula and Cosmo are lucky to have a great vet like Dr. Wildenstein! I have had several pets in my life and have used many different vets. 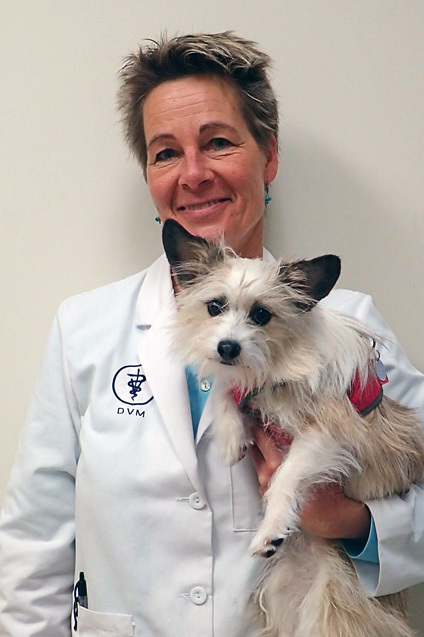 From the first time I brought my dog to Dr. Wildenstein, I knew she was THE one to have! She has a wonderful way of handling pets and of communicating information. She and the whole staff are fabulous, and I wish I could wrap them all up and take them with me when I go to Florida in the winter! Just printed the “ID CARDS”. Very nice site. I just want to say how much I appreciate Patch’s care yesterday (after ingesting packing peanuts) and am so very happy that I found you at Adana. The level of care, concern, and professionalism from each and every one of you is better than I have ever found! Thank you all so much! Everyone at the office is absolutely worth every dime. Your services and care are always above and beyond and I am still happy with my choice to bring Manny to Adana. Dr. Wildenstein and all the staff at Adana are simply the best. They provide high quality and compassionate care that really came to the forefront when our 15 year old dog had a terminal health crisis. One of the most meaningful events was being able to say goodbye to our beloved companion in the comfort room — a room dedicated to allowing dogs and their humans to say goodbye to each other in a serene and peaceful way. Thank you Adana Veterinary — you made a genuinely positive difference in this very difficult process! Thank you Melissa and all at Adana. We were pleased with the visit and I was so very proud of Doodle– she was so good for her exam – not at all the Doodle I expected!!! She must have gotten good ‘vibes’!!!! We’re so lucky we found Adana. Kobe was our first puppy and Adana made everything so easy. Kobe loves going to the vet (mostly because of the cheese wiz). Dr. D gave us so much information to help to train and raise Kobe and the other staff was always so warm and welcoming. Thank you so much Adana!!! I just want to say how grateful I am: After one visit to Adana, our cats have always been very happy to get into their carriers. We have not seen them behave like this before with any other vet. We know it is because they feel respected and well treated at Adana, and they trust all the staff. We know they get kind, loving attention when we board them and it gives us great peace of mind. Thank you for your attentive service! Thank you for fitting Ellie in so quickly to your busy practice. Thank you for your friendly and warm welcoming. I am so very grateful for the wonderful care you have provided for Ellie and me. I’ve driven by since 2004 and finally chose Adana as my vet. I am very pleased with the friendliness and professionalism they provide. We can not say enough good things about Dr. Wildenstein and the staff at Adana! We wouldn’t go anywhere else with our 6 year old yellow lab. And the greatest testimonial of all is that our dog LOVES to go there. He drags us from the car to get inside and then it is difficult to keep him calmed down until he can get in the exam room. He loves Dr. Wildenstein and everyone there. We appreciate all they have done for our family. The reason you are so good Dr. Wildenstein is not just your skills, the place and the staff; but the fact that you really care about the people, the owners. The staff at Adana are pleasant, well trained, and compassionate toward both their clients and the owners. I have had at least 2 emergencies with my dogs and the staff responded by seeing my dogs the same day and staying after hours to treat them. Dr. Wildenstein is kind and wonderful with my dogs. I would recommend Adana to anyone looking for a veterinarian and those who are not happy with their current vet. They know my dogs and I don’t have to give their medical histories at each visit. The staff was very professional and caring. They were extremely helpful in picking out heartworm prevention and flea treatment. The Dr. and staff knew both my dog’s and my name by our second visit and made sure to note his nickname (Gerry). I have a lot of respect for their philosophy and ethics (no docking/cropping, etc…). Both Gerry and I are very much looking forward to our next visit! Adana provides wonderful care for my 8 cats. The entire staff is extremely friendly and helpful, and the care is exceptional. We have gone to Adana since they opened and had surgery, dental cleanings, monitoring of early stage kidney failure, and support to help one cat lose over six pounds. Dr. Wildenstein is wonderful and has a beautiful well run practice. Being a cat person, I love that the cats have a separate waiting room! The staff is the best. All are very caring. When my dog had surgery. The office called the next day to see how my dog was doing. Dr. Wildenstein is an excellent vet. She is gentle and caring, (you can tell by the way she handles her patients). Dr. Wildenstein has excellent diagnostic skills and has proved to be a great surgeon. All of the staff give loving care. The icing on the cake? The place is spotless and has the latest in technology. We are centrally located between Ithaca and Cortland. You will find us on Route 38 between Dryden and Groton.